Often individuals define themselves by projecting the ‘other’. In many cases this ‘other’ can be music, fashion, movie stars or even someone you see walking down the street on an ordinary day. Who did not have posters on their bedroom walls when they were young? The way you dress, what you listen to, what you say, or even what you eat transmit unconscious messages to other people about your identity or the tendencies you follow in order to formulate that identity. In contemporary society, the way you act and look becomes even more important as people can categorise you with a simple glance. One category that many are put in to is the ‘modern hipster’. As ‘rock’ people define themselves through the adoption of specific behaviour, clothes and music, hipsters do the same in contemporary society. 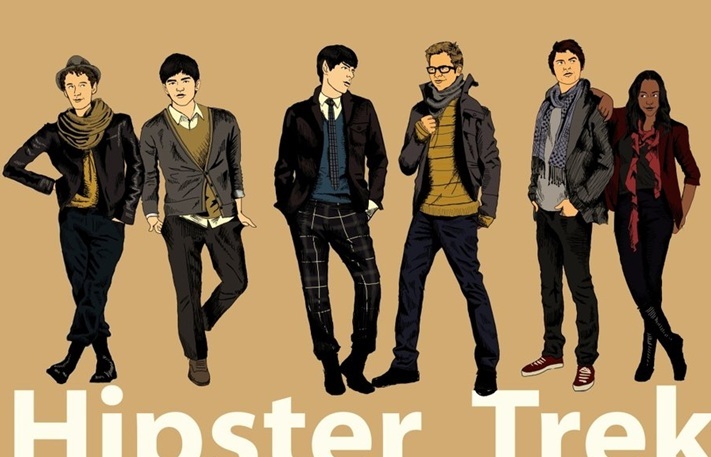 Hipsters use music and contemporary cultures in conjunction with older ones to put together the hipster look. Hipsters are ‘architects’ for putting together their look derived and defined by many subcultures, either old or contemporary. Thus they create a look which can be considered as ‘fashion mosaic’. This movement, however, has not been clearly defined due to its multicultural character. Also, in my opinion, the term ‘hipster’ is undefined by many people even though the hipster movement is here and, I think, is going to stay for a while. Hipster is a subculture movement of recent young, urban, middle-class people who listen to independent or non-mainstream music and are characterised by their alternative, liberal and bohemian fashion. Generally they are considered to be free spirited and open to new ideas, and adopting of an alternative lifestyle by utilising contemporary technological gadgets. Photography is their habit and their ‘chill-out’ way of behaviour becomes their motto. Hipsters are considered to be relaxed, outgoing people and sometimes look as if they live in their own world. 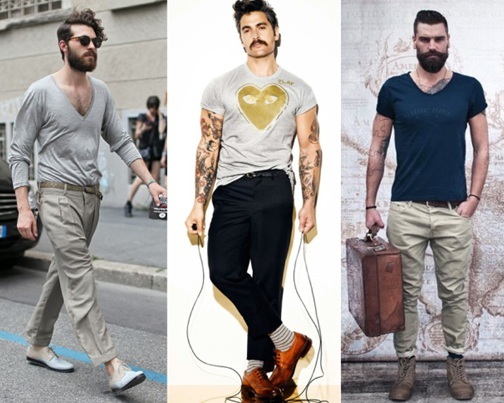 Hipsters are young adults who put tuck trousers inside their leather boots. In winter they have big, thick scarves and in summer they wear open V-neck t-shirts with colourful frame Ray-Ban sunglasses. They usually wear tight blue or white shirts with suspenders, and you can usually see their striped white socks under their tight black short trousers. When it comes to music, we can say that they usually listen to Mumfords & Sons (song: “Little Lion Man”), Edward Sharpe and the Magnetic Zeros (song: “Home”) or Fun (songs: “We Are Young” and “Carry On”) while they are using their smart phone to upload cool photos on Facebook or Instagram. Hipsters are considered to be sensitive, open-minded and interesting. In Europe, Scandinavian countries like Sweden, especially in its capital Stockholm, are considered as capitals of the hipster movement due to the bohemian and relaxed attitudes of young adults there. What’s your definition of Hipster? We welcome your comments! George was born in Stockholm but was raised in Greece. Since 2008, he has lived again in Sweden. He has a Bachelor (Hons) in English Language and Philology from the Aristotle University of Thessaloniki. He completed a two-year MA in American Literature and Culture at Uppsala University has studied MA Euroculture in Uppsala, Bilbao and Indianapolis and is now back in Uppsala to finish his MA thesis. George speaks five languages (Swedish, Greek, Italian, Greek Sign Language, English) and is currently studying Spanish and Arabic. He has presented his work at more than seven international conferences and has received more than five scholarships. He has published his work in the Athens Institute of Education and Research. He loves swimming, painting, and writing and he enjoys living ‘in-between’ Greece and Sweden.